Malawi is an African country, located south of the Equator, mostly hilly and mountainous, and has a tropical climate (or sub-tropical at high altitudes), with a hot and rainy season from mid-November to April and a relatively cool and dry season from mid-May to mid-August (that is, the austral winter). Before the rainy season, from September to November, the temperature rises to the point of reaching the highest levels of the year. Temperatures vary with altitude, and above a thousand meters (3,300 feet) they are pleasant. However, in the far south, there is a plain region, hot and humid because of the low altitude. In much of the country, annual precipitation is between 800 and 1,300 millimeters (31 and 51 inches), and it's generally more abundant in the north, where in particular, March and April are very rainy, but also on the southern slopes of Mount Mulanje, where it even exceeds 2,000 mm (79 in) per year. In the Mulanje Massif, the highest peak of the country is found, called Sapitwa Peak, 3,000 meters (9,800 ft) high. Lake Malawi (or Nyasa) lies at 475 meters (1,600 feet) of altitude in the Rift Valley; along its shores, there are beaches, which in the afternoon are cooled by nice breezes, and from which you can enjoy the spectacular scenery of the lake surrounded by the mountains. In Karonga, located in the far north and on the shores of the lake, the daily average temperature is 25.5 °C (78 °F) in January, 22 °C (72 °F) in July, and 27.5 °C (82 °F) in November, the hottest month. Already at this altitude, the heat is muggy during the rainy season, while it can be intense in the period from September to November. The amount of sunshine in Karonga is excellent in the dry season, while in the rainy season, it becomes just decent. Here are the average sunshine hours per day. In the eastern part of the lake, in the territory of Mozambique, we find two small islands belonging to Malawi, Likoma and Chizumulu. In the southern part of the lake, the temperatures are a bit lower in winter. Here are the average temperatures of the Makokola Resort. Other lakes in the country are Lake Malombe, a continuation of Lake Malawi, located at about the same altitude (near the Liwonde National Park), and Lake Chilwa, at 625 meters (2,000 feet) above sea level. At higher altitudes, the temperatures are cooler. The capital, Lilongwe, is located at 1,100 meters (3,600 feet) above sea level and has mild temperatures, ranging from 23 °C (73.5 °F) in November (which is the hottest month) to 14 °C (57 °F) in July. Daytime temperatures rarely exceed 32 °C (90 °F) during the period from December to April, and are around 23/25 °C (73/77 °F) from May to August. However, during the cooler season, from mid-May to mid-August, it can get cold at night, and even light frosts can occur. In the hottest period, ie October and November, before the rains, the temperature can instead reach 35 °C (95 °F). Here are the average temperatures. The rains fall from November to April and amount to 850 millimeters (33.5 inches) per year, with a maximum of 200 mm (8 in) in January and February, while it hardly ever rains from May to October. The tropical rains mainly occur in the form of downpours or thunderstorms in the afternoon. Here is the average precipitation. The amount of sunshine in Lilongwe is good in the dry season, from May to October, while it is not so good during the rainy season. The climate in the country's second city, Blantyre, which is located in the south at 1,000 meters (3,300 feet) above sea level, is similar to that of Lilongwe (the Chileka airport is located at a lower altitude, so it has slightly higher temperatures). In the far south, in the River Shire Valley (see Chikwawa, Nsanje), the altitude drops to sea level, and consequently, the temperature is higher: it regularly exceeds 32/33 °C (90/91 °F) during the day for many months, and may sometimes exceed 40 °C (104 °F). The only months when the heat is bearable are June, July, and August. Here are the average temperatures of Nsanje. During winter, the south of the country, but also Lake Malawi, may be affected by a cool and humid wind, the Chiperoni, which brings cloudy skies and a constant drizzle for a few days. The wind, which is channeled through the mountains, can make the lake a bit rough. Sometimes, Malawi can be affected by tropical cyclones, which penetrate inland from the Indian Ocean and affect more easily the south of the country, bringing wind and torrential rainfall. The South-West Indian Ocean cyclone season runs from November to mid-May, but the period when they are more likely runs from late December to mid-April. For example, Cyclone Funso in January 2012, Tropical Storm Chedza in January 2015, and Cyclone Idai in march 2019, caused flooding in the south of the country. The best time to visit Malawi runs from mid-May to August, since it is the coolest within the dry season. It should be remembered that at higher altitudes, nights during this period can be cold, with possible frosts, but at least you avoid the sultry heat and the rainfall of the period from December to April, and also the blistering heat that affects the lowlands from September to November, in addition to cyclones, which are possible from November to mid-May. However, if you do not suffer from the heat and prefer the intense heat to the risk of a bit of cold at night, you can choose September and October, or the second half of August, when the temperature begins to rise. In winter (June-August): in Lilongwe and Blantyre, bring spring/autumn clothes (light for the day), and a sweater and a jacket for the evening. For the southern plains, bring light clothing, and a sweatshirt for the evening. 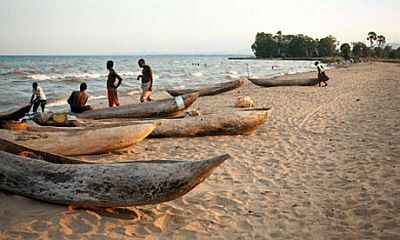 For the shores of Lake Malawi, bring light clothing, a sweatshirt and a light jacket, and a scarf for the breeze. For the mountainous areas, spring/autumn clothes for the day, a sweater, a warm jacket and a hat for the evening, and hiking shoes. In summer (December-February): in Lilongwe and Blantyre, bring light clothes, a sun hat, a light sweatshirt for the evening, and a light raincoat or umbrella. For the shores of Lake Malawi and the southern plains, loose-fitting clothing, light shirts and pants of natural fibers (cotton, linen), a sun hat, a light sweatshirt for the evening, and a light raincoat or umbrella. For the mountainous areas, spring/autumn clothes, a jacket, a raincoat, a sun hat, and hiking shoes.